Sticky Brick Tape is a new and exciting thing and the moment I saw it a thousand possibilities came to mind. 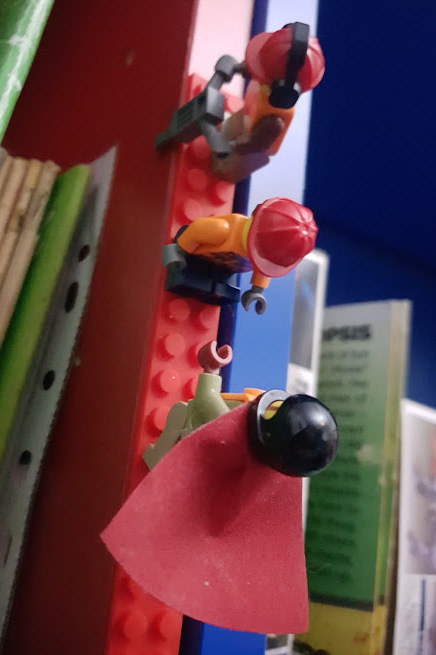 Being able to secure your LEGO almost anywhere is something all adult fans have wished for, I'm sure, and turning that into a reality is a dream come true. We've been sent 4 different coloured rolls of Sticky Brick Tape to review - 1 metre each of red, blue, grey and green. Packaging is really minimal and it doesn't need to be anything else if you are buying for yourself. 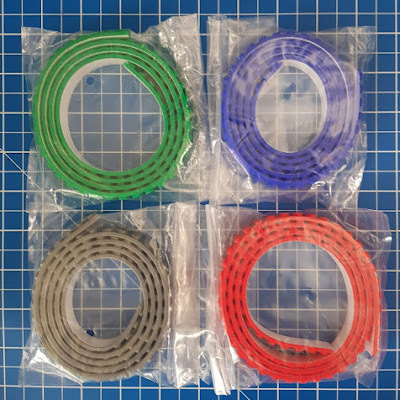 Each 1m roll is simply packaged in a plastic bag and they all fit into a large envelope. 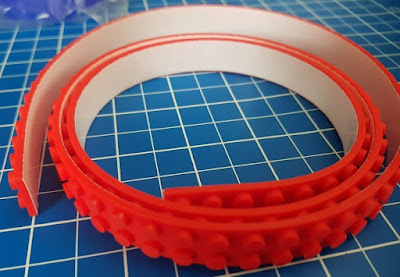 Sticky Brick Tape offer free postage worldwide. The tape is a rubbery material that bends and flexes in all directions. 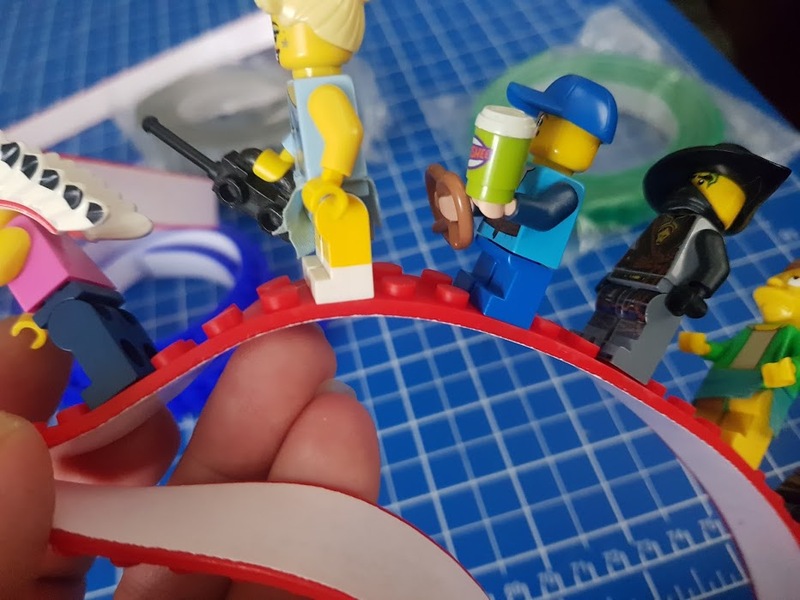 I stuck a group of minifigures on my tape and it's impressive just how well they stay put. Obviously you'll mainly use it when it's stuck to a flat surface, but this shows just how snug the fix is. 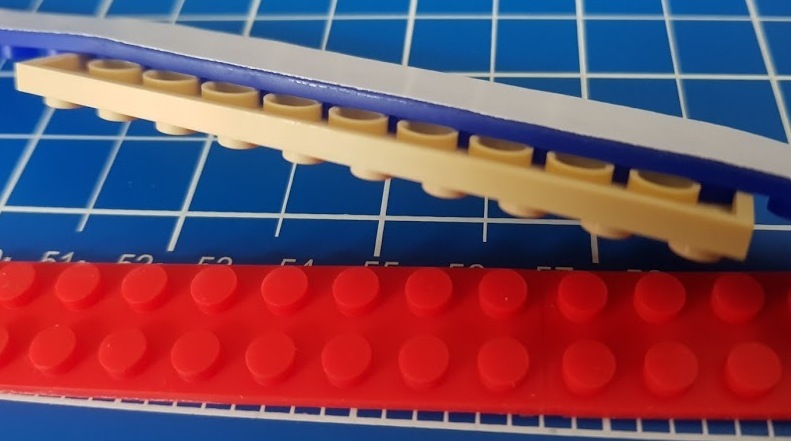 It's a bit harder to get larger elements to stick, you have to line up the studs almost, but it's possible. Obviously you sadly can't affix plates as they have a flatter base. Sticky Brick Tape will hold minifigures no problem and it'll bear quite a lot of weight. 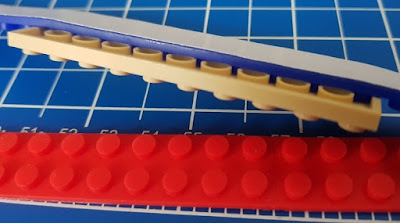 This increases once it's stuck to the surface and won't twist, although surprisingly it's trickier to get your LEGO fixed into place on stuck down tape which is not horizontal! There isn't a heck of a lot to say other than it works exactly as you'd hope. The packaging is no frills and as such it suits someone buying for themselves rather than a gift, but possibly adult fans will be the biggest users of this tape anyway. The colour choices are good and we are already working out how we can expand our Christmas Village! 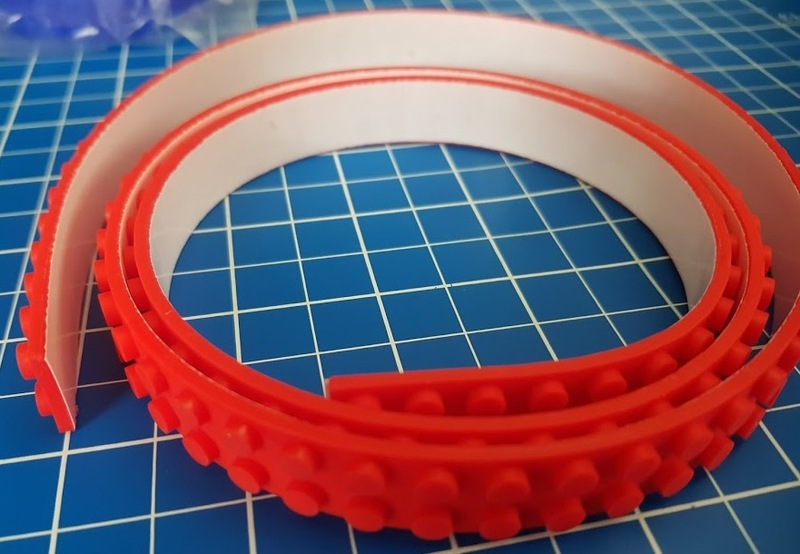 Sticky Brick Tape is available to buy now priced £6.99 for a 1m roll or £19.99 for 4 x 1m rolls with FREE Shipping Worldwide. Find out more and order on the Sticky Brick Tape website. 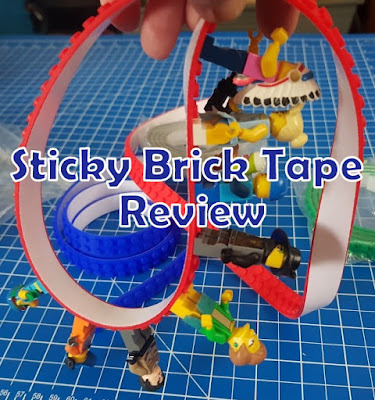 We were sent our Sticky Brick Tape for review. I might have to invest in some of this for E's new room. Great way to display all his mini figures.